We included Booker T & the MG’s 1962 hit in our “10 Greatest ’60s Instrumentals” story and it’s hard to imagine that any classic rock fan would disagree with that call. It was the Memphis-based group’s first and highest-charting single, peaking at #3 for the Stax label. They were essentially the Stax house band and played on literally hundreds of songs by the Memphis-based label’s artists including Otis Redding, Eddie Floyd, Carla Thomas, Rufus Thomas and so on, as well as nine Stax albums of their own in the ’60s. The original group, formed in 1962, was keyboardist Booker T Jones, guitarist Steve Cropper, bassist Lewie Steinberg and drummer Al Jackson, Jr. In 1965, Steinberg was replaced by Donald “Duck” Dunn. Jackson was murdered in 1975. Dunn died in 2012. The band was inducted into the Rock and Roll Hall of Fame in 1992. 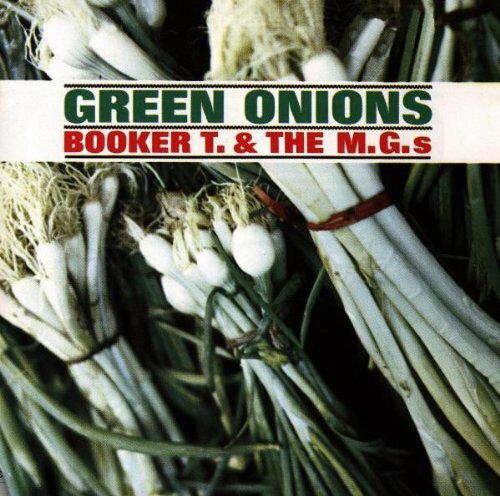 This may blow you away: when “Green Onions” was released, Booker T was 17 years-old, Cropper was 20, Jackson just 26. Steinberg was the “old” guy at 29. Cropper turned 77 on October 21, 2018, and still performs live. Jones turns 75 on November 12, 2019, is also still performing and recording. Booker T & the MG’s are among those selected for induction into the Blues Hall of Fame’s Class of 2019, the institution’s 40th induction class.